As a lot of you know, I wrote a book about my first Camino, as like many others before me, I felt the need to debrief somehow and I also wanted to help the newbies who were/are planning to walk. A few years have now passed by and I have several different Caminos under my belt, so I thought I would pick it up and read it through fresh eyes. A few things have changed, but the feet problems are ever present. I no longer pop blisters but instead, I stuff Hikers Wool inside my socks to prevent them even happening. It works! If only I had known this previously, because I have been victim many times of the blister problem and I’ve lost a few toenails along the way. Every time I walk a new camino, I go through the agony of trying to find the right shoes. If I was a shoemaker, I would make shoes with very wide toe boxes. I don’t have wide feet but my pinkie toe ALWAYS suffers due to friction. And….why do women’s shoes only go up to a size 9? Perhaps it is because they are made mostly in Asia where they have little feet….I’m not being racist – just stating a fact. We need to buy shoes that are slightly bigger, so I cant buy the pretty coloured shoes. I have to buy ugly men’s shoes and look like Ronald McDonald! This really annoys me but I need to be practical. Imagine the money you could make by simply surveying pilgrims on footwear and then designing something specifically for long distance walking that is actually comfortable! The other things I have noticed recently is that some cafes have take-away (or take-out, for my American friends) coffee. They also have sliced bread and sometimes even a Spanish version of butter. However, I think it may be a long time before they realize the pleasures of beetroot in a hamburger or the absolute deliciousness of vegemite. I don’t want Spain to change though. There is something to be said for the simple 1950’s lifestyle they lead in northern Spain. I think that is the main attraction for me. Nothing is done in a hurry, everything is basic and simple, people have time and patience, in fact time just doesn’t exist (unless you have to catch a train or a flight). I get so caught up in the late rises in the morning and flurry of fun and celebrations late at night, the festivals, the street music and the pleasure of tapas. No one hurries and siesta is real. Although these people have a diet largely consisting of bread and meat, and most of them smoke and drink, they walk everywhere and they are not stressed by a hurried lifestyle. They consume copious amounts of olive oil, preservative free wine and fresh fruit and vegetables from their gardens. They seem to live a long time. We have a lot to learn from these people. 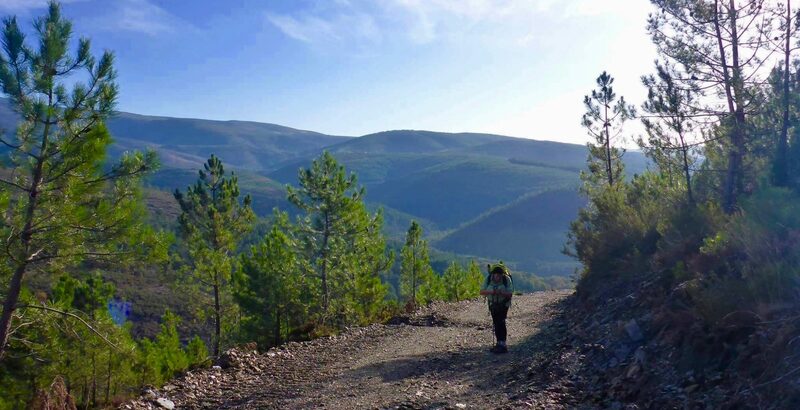 We catch a glimpse of this on the Camino and I’m sure it is subconsciously what a lot of us enjoy about this part of Spain. We step out of our lives, and enjoy the reality of peace and contentment for a short while. I grew up in the 1950’s and 1960’s. I remember this from my childhood. I felt safe in my simple life. This is why I love Galicia so much. It feels like a warm hug from grandma to me. It feels familiar. So if the shoe fits, then wear it! I’m thinking if spending a lot more time there in the future. Thank you for posting..looking forward to your next adventure already..